Best to fight strong body odors in hot conditions. I just ❤ it. Have been my first choice always, and the best price ever here. Highly recommends it. Perfect for summer, very nice scent - albeit the perfume is rather old, the composition is still not well known. 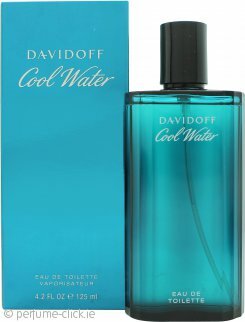 Davidoff Cool Water Eau de Toilette 125ml SprayGreat value for money! Nice, good value and always great to have to hand. It is one of my favourite top 3 with 1881 and Eros. Great product, perfect but took very long to get to me. I had to call the delivery service and it turned out it was sitting in the back of the van. But all in all great service and cheap.